High Sierraではインジケーター(NSLevelIndicator)のデザインが刷新。 | AAPL Ch. 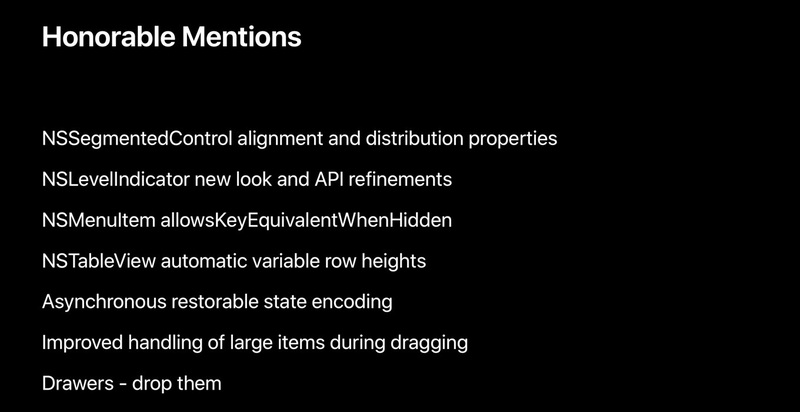 Now, some honorable AppKit features mentions. NSSegmentedControl has alignment and distribution properties that provide you with more control over layout.NSLevelIndicator has a beautifully refined new look and some API refinements as well.